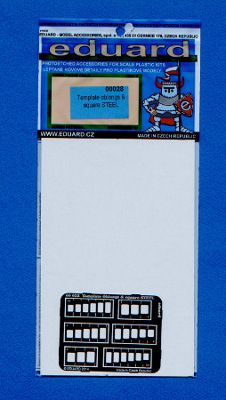 This new set of scribing templates (item number 00028) is for "oblongs" or rectangles, if you will. 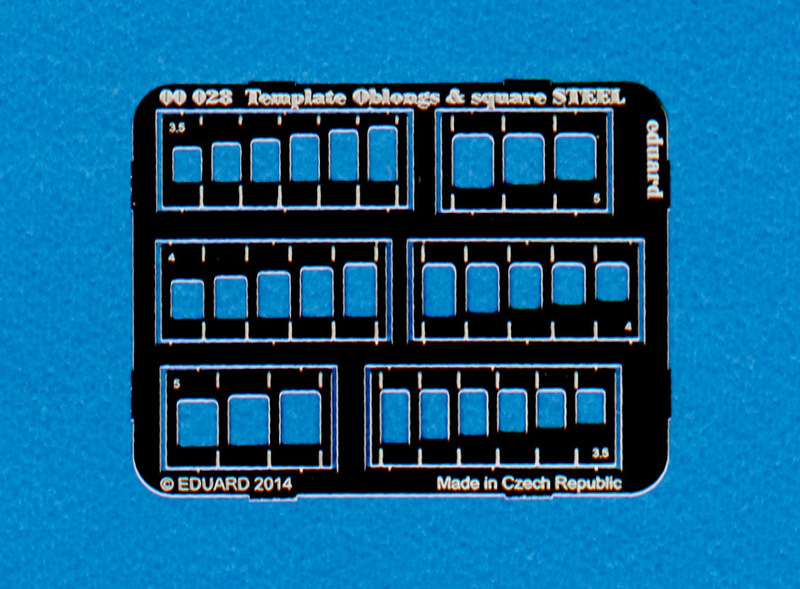 It is a smaller set than 00029. There are 6 different rectangle sizes which are measured by width, ranging from 3.5 to 5 millimeters. Each rectangle has a minimum of 3 different sized rectangles for scribing. They are attached to a common fret but each template can be individually removed, which is useful if you need to scribe on a curved surface like an airplane fuselage.